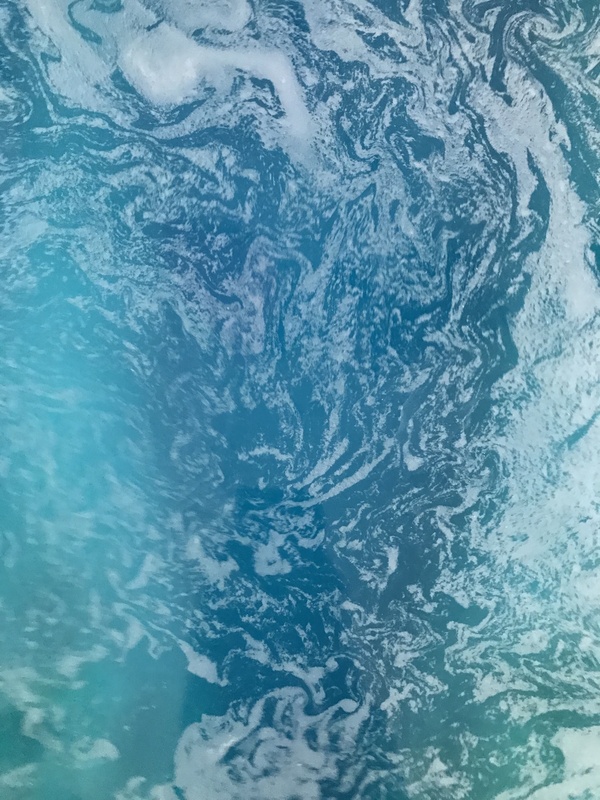 This ocean scented bath fizz was beyond beautiful. I’ve been a Lushie for a while now, and that makes me accustomed to a bit of a show. 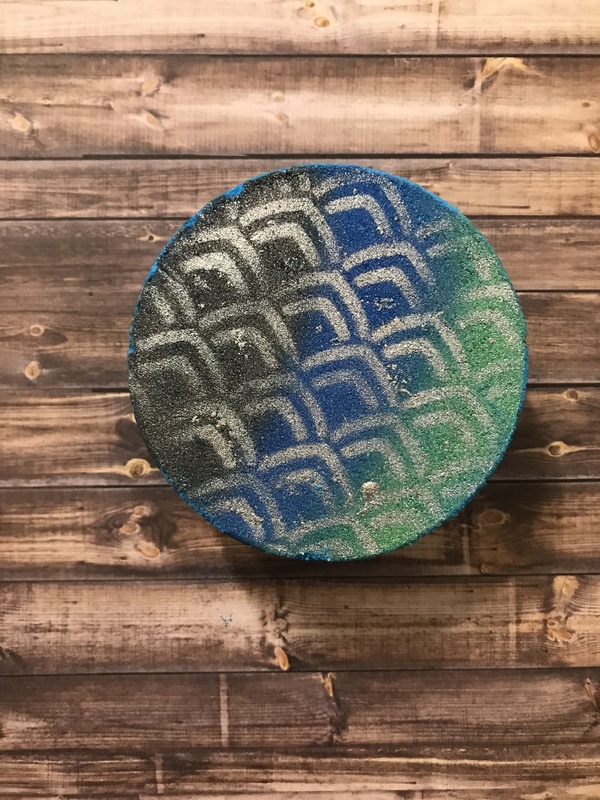 The Mermaid Bath truly lived up to it’s name! Once I dropped this in the water, I was surrounded by gorgeous blue fizz, which eventually gave way to green as well! It was a really magical experience. The blue that the water settled in was one of the most beautiful things I’ve ever seen; this picture definitely doesn’t do it justice. This bath fizz also smelled incredible. I felt like I was swept away to Hogwarts with a rich woodsy scent. I truly loved it. The best part about this was the way my skin felt afterwards. Often with smaller businesses, I find that I have a lot of extra oil at the end, both on my skin and in my tub. Not with Zen Bath Candies! I felt moisturized, but not oily, and I didn’t have any worries about slipping in my tub when I got out. 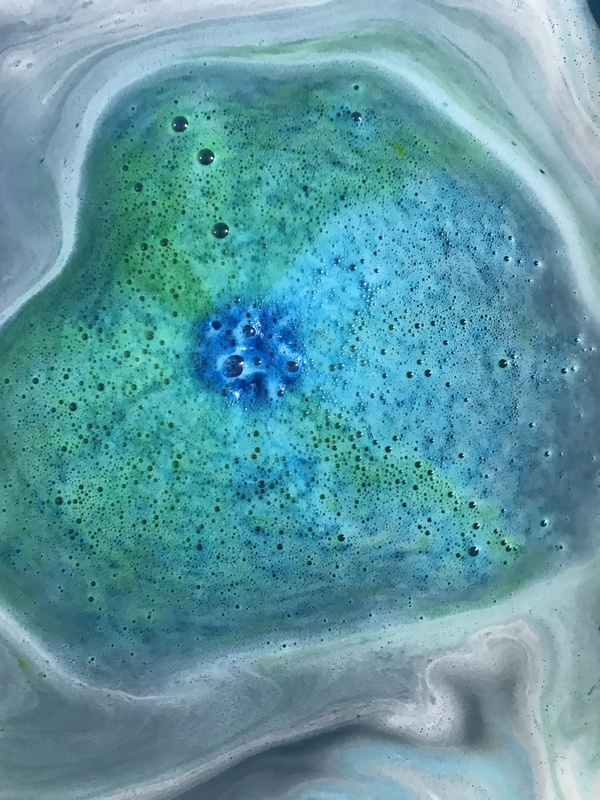 This was one of my absolute favorite bath bombs I’ve tried to date. It was beautiful, nice to my skin, and smelled fantastic. Once I’m out of bath bombs (which may take quite some time), I’ll be grabbing some items from Zen Bath Candies. I suggest you do as well!